Real materials lend Range 180 enhanced value. 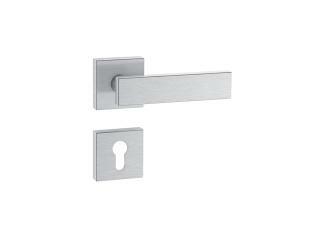 The lever handles are made of solid stainless steel. 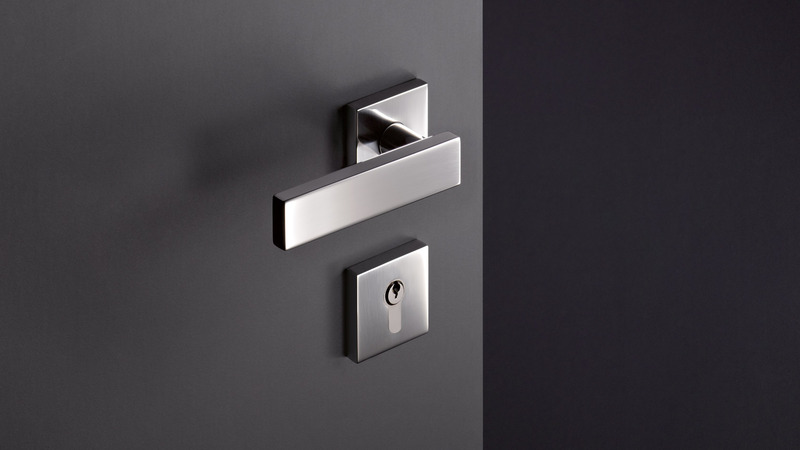 The design lever handles stand for clear architecture. The design concept is built on the basic shape of the rectangle. Its combination with round or square roses underlines the geometric style. 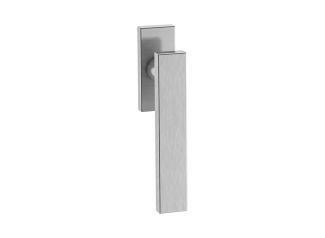 Range 180 is available in pure stainless steel with a satin or mirror polished finish. 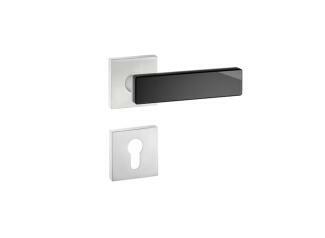 The design variations with glass or slate are made of satin finish stainless steel. 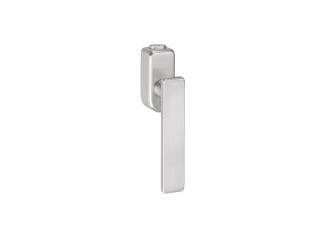 Panel door handles, pull handles and window handles are available that match the lever door handles. Fine glass lends this Range 180 design variant a luxurious appearance. 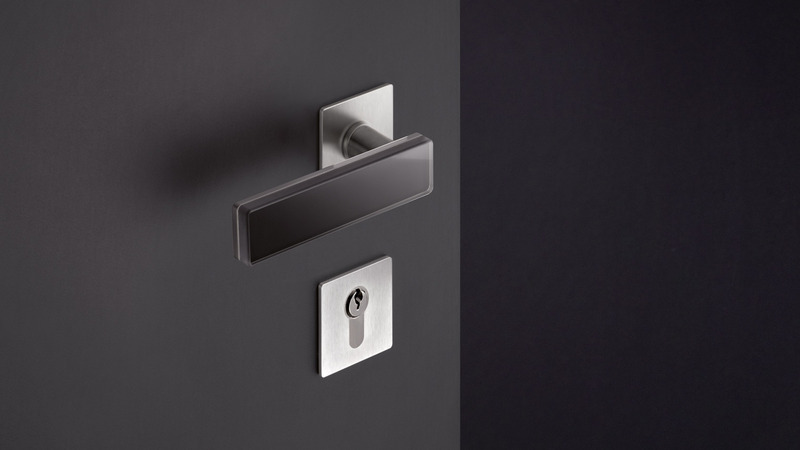 Coloured glass is applied directly onto the lever handle made of high-quality stainless steel. The glass element refracts light to produce a depth effect. A special safety glass is used – thermally toughened float glass, which is characterised by its extreme impact resistance and breaking strength. 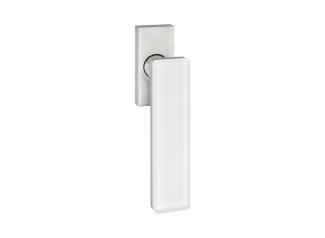 The Range 180 glass variant is available in white, black or umber. 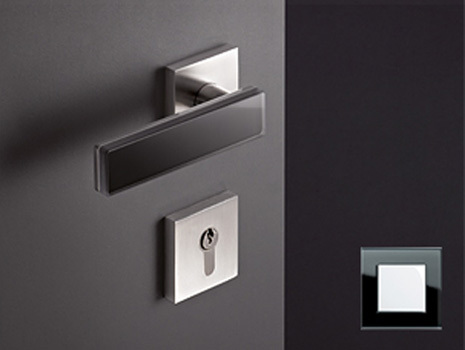 The lever handle can be combined with the Gira Esprit switch range, thereby enabling consistent design throughout. 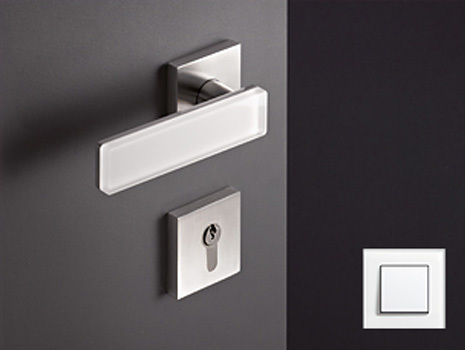 The hardware Range 180 can be complemented with matching sanitary accessories and accessibility products of Range 180 in Soft Edge Design and the guide signage range. High-quality materials, clear design and well thought-through functionality enable universal use of the products. 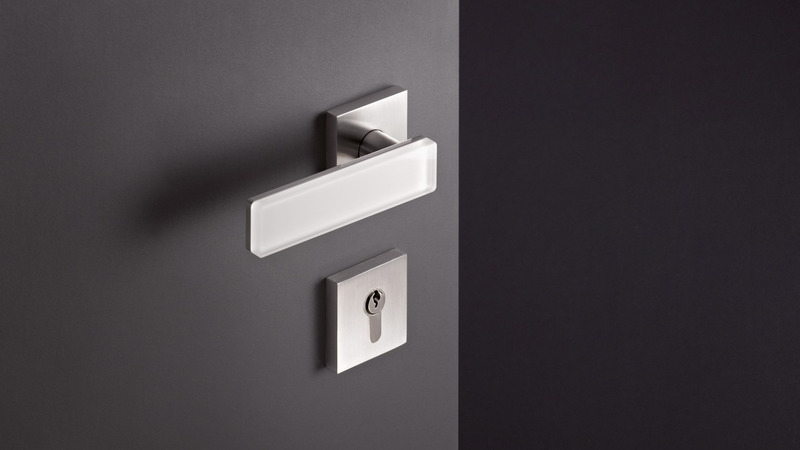 House numbers, floor-mounted doorstops and letterboxes made of polyamide complete the hardware products offered. 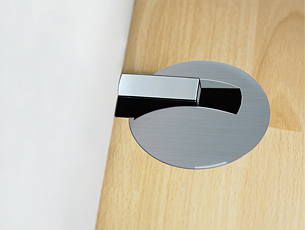 A selection of stainless steel doorstops is also available. Different materials and designs enable an individual guide and information system to be put together, which also enables orientation for people with impaired vision. 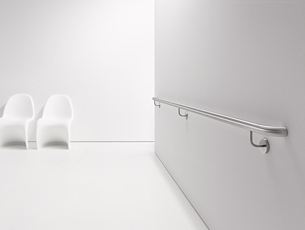 Diverse materials and combination possibilities of the individual made to measure handrails enable design options for consistent solutions.